Surgery is sometimes necessary. Our goal at Professionally Integrated is to help us understand the “hows and whys”. We want to educate our patients and help them STAY healthy and hopefully avoid surgery due to degeneration. I have posted many discussions about that topic on this site. Here is a study where a total of 247 patients had stenosis. They did fusions on some and just decompression on the others. Which surgery do you think costs more to do? The fusion surgery did no better at all compared to just a decompression. In my opinion and experience, we need to treat these patients after this surgery to improve the mechanics and alignment to stop or slow down the reason they degenerated in the first place. 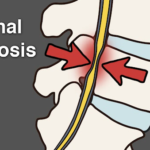 Look what the authors say: “Lumbar spinal stenosis is caused by a gradual narrowing of the spinal canal.” This is a slow process that can occur due to abnormal mechanics. I believe we need to treat these patients BEFORE surgery as we may be able to prevent this from happening. “There was no significant difference between the two treatment groups in the primary outcome.” If we have a patient or loved one that needs this surgery we should educate them on this procedure and prevent them from hardware implanted as well as reducing cost.